An intern pretends to be nice to somebody to sell something. An intern gets lunch and coffees for somebody to keep them happy. A camp counselor embarrasses him or herself just to make a camper smile. A camp counselor’s job revolves around their campers being happy no matter how miserable they are. While an intern is probably doing work while miserable. I promise you, getting an authentic laugh out of a camper is more enjoyable than selling insurance to some random guy. I enjoy showing up to camp every morning. I do not have to say myself, “I have to go because it is good money” That is not what life is about. I get the satisfaction of having a job that is to make sure people are having fun and enjoying themselves. I spread happiness and am not isolated at an undersized desk drinking Keurig all day, praying for pay day. Face it interns, you’re uncomfortable all day and you sweat a little more than one would like. Interns wear the clothes they do because they are supposed to, not because they want to. 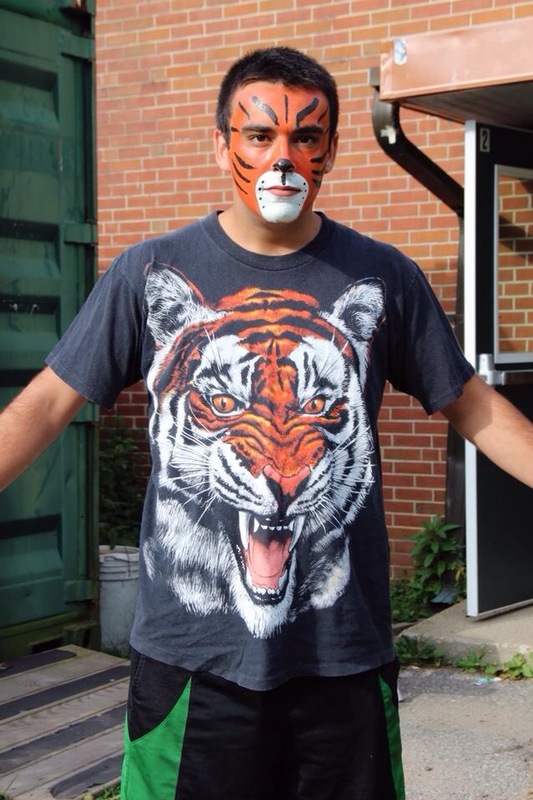 As a counselor I spent a day with my face painted as a tiger. I wore a pirate hat and said “arrrrrrgggggg” all day, just for the kids. Camp counselors dedicate their summers, interns count the seconds until they are done with work. Generally speaking, there are some bad camp counselors in this world. But, all the good ones do it because they enjoy what they are doing. As a counselor, you deal with kids, adults, and fellow counselors. Not many interns are dedicating their time to such an age range. As a counselor, you learn to dedicate time to something besides yourself. If I was hiring, I would want somebody who developed character, had leadership skills, and dedicated time to something besides themselves. I would not be impressed with somebody who got to sit at a computer for 30 hours and said they worked 45. Yes, people should focus on their careers, but that is only if you do not have the option to do something you love. I love being a counselor and will be one for as long I want. Previous Post Who’s the Bigger Boston Legend: David Ortiz or Paul Pierce?